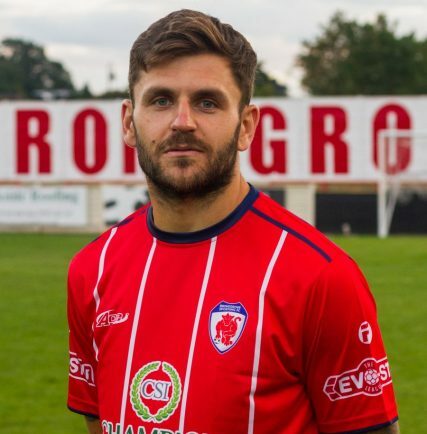 Bromsgrove Sporting skipper Craig Jones writes for The Standard in his weekly column, providing his thoughts on victories over Kidlington and Didcot Town, looking ahead to Dunstable this weekend. FROM a personal point of view and starting with Saturday it was good to be back on the pitch first and foremost. The circumstances weren’t what I’d have wanted and I hope Tommy (Taylor) recovers from his injury ASAP, but it was great to help the team get back to winning ways and keep a clean sheet on what was a tough afternoon. Kidlington have improved massively since we beat them 11-0 earlier in the season and their pitch was a real leveller, so it was good to come away with a 4-0 victory. 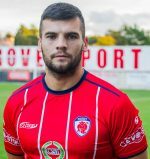 Looking back on Tuesday night and the rearranged home game with Didcot, we were 3-1 up and I’d scored the 2nd with a header in front of the shed at the time of the abandonment first time round. Tuesday we finished 3-1 up with me scoring the 2nd with a header in front of the shed. Football is a strange game at times! It was a good all round team performance and although we were gutted to concede, I thought we defended solidly as a team. Didcot are a good side and hopefully they can take some points from our rivals over the coming weeks. Saturday we travel to Dunstable for another away trip full of confidence and belief. Dunstable gave us a tough game at the Vic earlier in the season where we prevailed 1-0, so I’m sure they’ll be looking for revenge. Hopefully I’ll see all you Rousler fans there.